Hey! I hope you're having a wonderful week. I have some exciting news. If you're not following the Artists In Music Awards on Facebook or following us on Twitter, then you probably are unaware of next weeks festivities. 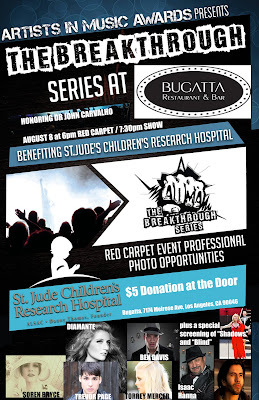 We have an exciting new event that we added to the schedule, thanks to LGBT Person of the Year, Dr John Carvalho for adding an additional event for us on August 8th at Bugatta on Melrose in Hollywood. We're celebrating his birthday and calling it the JOHN CARVALHO RED CARPET BASH AND ARTISTS IN MUSIC AWARDS CELEBRATION. It's still very much apart of The Breakthrough Series and we're also raising money for partners at St. Jude Children Research Hospital. For this event, we have special guest performances by Diamante, Trevor Page, Ben Davis, Isaac Hanna, Torrey Mercer, and a special guest performance by 2013 AIMA Best Folk Acoustic Artist winner Soren Bryce. PLUS, we are showing a special screening of the short film "Blind" with guest celebrity Sunill Sadarangani and we'll also get to see a special sneak preview of the Marneen Lynne Fields new music video, "Shadows." You won't want to miss this incredible event! Why is Dr. John Carvalho such an important figure in Hollywood? Dr. Carvalho is a strong advocate for Marriage Equality, he is a Political Activist for Human Rights, he Advocates for the LGBT Arts, Music, and Entertainment scene in West Hollywood, he is a leading Public Health Researcher on Infectious Diseases in the Developing World, and a Member of the Twenty International Scientific Academies. Sunday, September 22 at The Joint - performers include MK Ultra, Walla, Byron Gore, (2 slots available)! Introducing the company of the week Substance Co. Substance is a Radio Promotions & Digital Branding Company based out of Los Angeles, CA. The Artists In Music Awards and KGUP 106.5FM endorse Substance Co, because they deliver results and help get their clients increase their standings on the FMQB Submodern Report & Mediaguide Alternative Specialty Charts. Unlike the imitators that only sell you the dream, Substance Co does exactly what they say and make it happen for their clients. 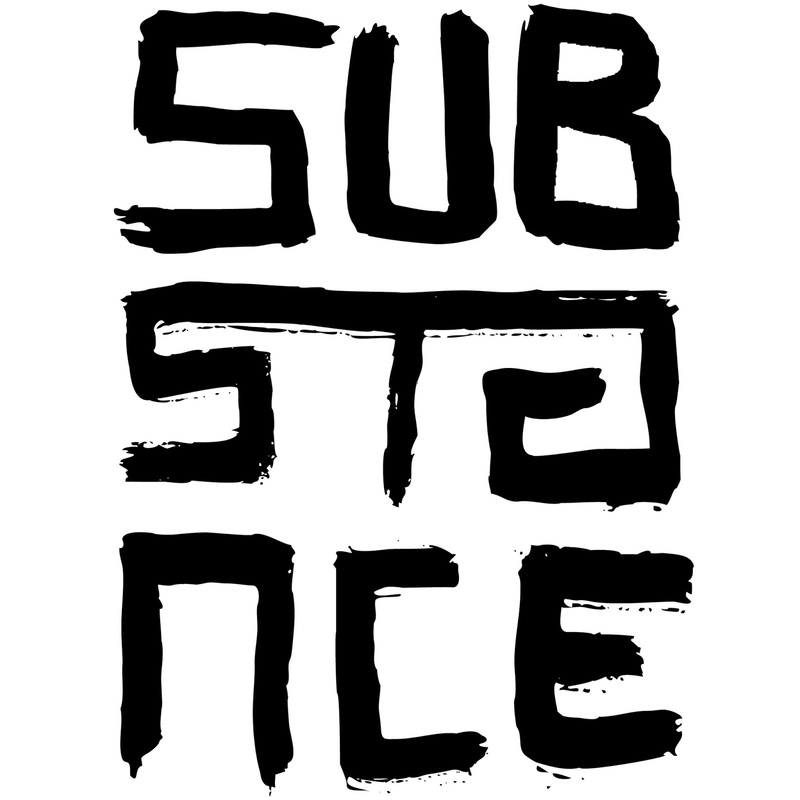 Substance, Co. promotes releases to Specialty Shows (“New Music Shows”) airing on Commercial, Non Commercial, Satellite & College Radio Stations in the United States. These 1-3 hour free form music shows support new releases from Independent & Major Labels as well as Unsigned Artists. A large section of the Specialty Show DJ’s we service are monitored by two influential Industry Radio Charts: FMQB Submodern Report & Mediaguide Alternative Specialty Charts. Our CMJ College Radio & Non Commercial Radio campaigns dive deeply into the worlds of top-ranked radio stations in the United States and Canada. The majority of these tastemaker stations report directly to CMJ Top 200 and CMJ AAA Radio Charts. New Media Radio is the “new college.” With a focus on HD2, Internet/Podcast, Apps, Music Streaming Services, & Satellite radio, Substance, Co. promotes to an exclusive list of forward thinking outlets such as Shazam, Moheak, Indie1031, Sirius/XM, East Village Radio, Music Choice, RadioIO, SomaFM, 3WK, AOL Radio, Yahoo! Music, Fearless Radio, XPN2, SoundHound, Pandora & Pacific FM. Their collective successes include: Local Natives, Still Corners, Swimm, Dum Dum Girls, Pains of Being Pure At Heart, Surfer Blood, John Maus, Weekend, Dodos, Veronica Falls, Antlers & Now, Now (formerly Now, Now Every Children).